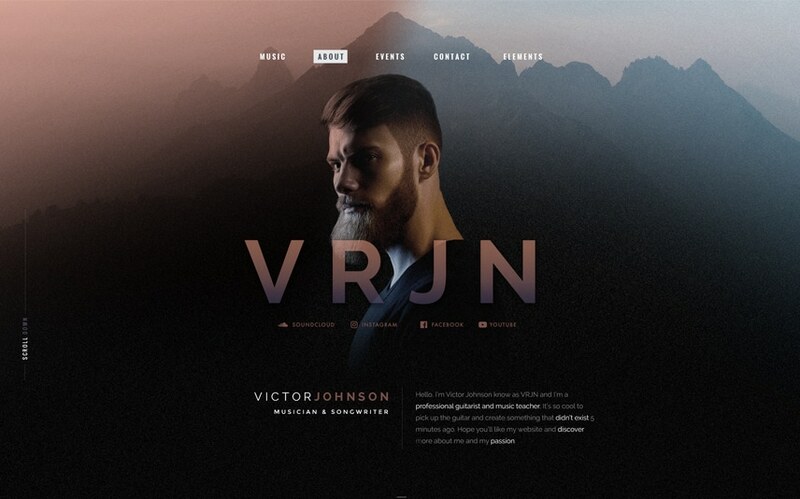 One of the best WordPress Musician themes ever. Music is our passion and that’s why we have gone above and beyond to bring you one of the best WordPress Musician themes: Outlander. 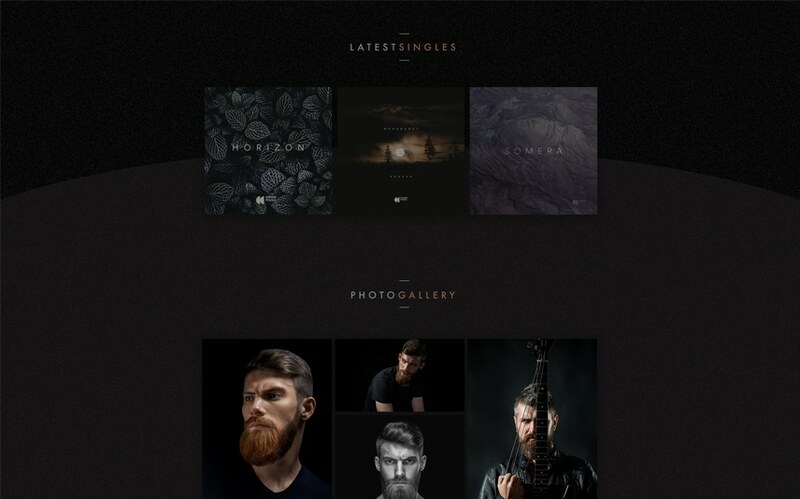 Outlander is a super nice WordPress Musician theme specifically designed for musician, artists, music bands, and anyone else working in the music industry. The theme also boasts a modern design and is extremely flexible allowing you to customize and configure it according to your music style and needs. We have carefully designed Outlander and developed it from the ground up to ensure it perfectly fits everyone in the musician industry. With Outlander, there are lots of ways for you to showcase your albums, artworks, discography and album music recordings. Thanks to the full integration of all social media networks required to share and promote your musical website as well as music and albums. 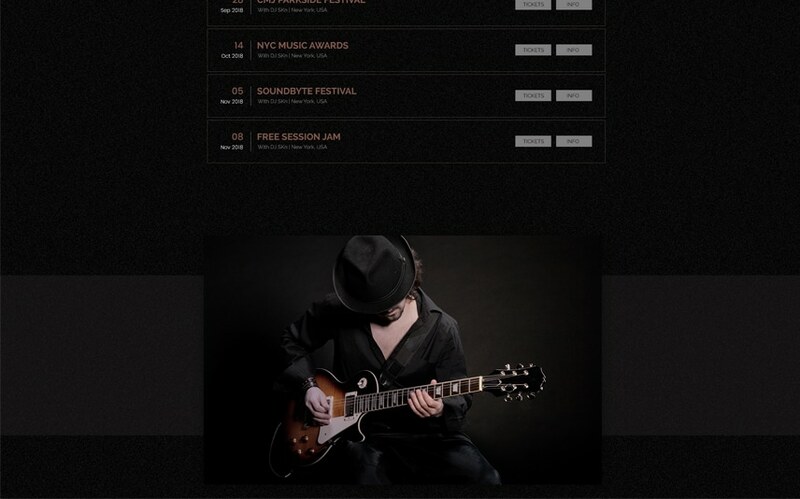 More importantly, we have included an Events manager for all your upcoming musician events. Without this functionality, how are your fans going to find you? With this modernized event listing built into the core of Outlander, you can now, as a local musician, wedding musician or nightclub musician, detail in as much information as possible about your future gigs. If you prefer to connect your Bandsintown event listing into this wonderful WordPress Musician Theme, no problem! we have a super cool custom widget for Bandsintown. We have also backed up this functionality with sections for artworks, festival poster and promotion, and brilliant flyers as well as the ability for you to host your own ticketing system. This amazing WordPress Musician Theme is also translation ready so everyone around the world can easily access your master pieces. Besides, a site’s good design also needs to meet global demands in terms of being a translation ready website. Outlander has taken all these needs into account and comes fully compatible with the WPML (this is the top choice translation plugin when it comes to creating translation ready wordpress sites.) I urge you to rest assured Outlander is the ultimate solution and you can achieve all this without coding a thing. All you need to do is upload your content so fans from all around the world can enjoy your effort and use the included Page Builder called WPBakery Drag and drop page builder. Artists and musicians will love it! You music booth is mobile so your followers are. Still with your global fans in mind, we acknowledge that most of your fans today are mobile: implying that most of them will try to view your content and listen to your music using their handheld devices and tablets. That is why we thought a WordPress music theme with a responsive design will be so important to you. Outlander will seamlessly across all devices and devices and web browsers. You won’t need to worry about the theme not being mobile friendly or anything of the sort. Check it out now on different devices and I promise you’ll be flattered by the smooth parallax scrolling. Another feature worth noting is the theme’s Continuous Audio Player and Music Album player. Would you like to give your music projects the attention they deserve? If your answer was a big, bold YES, then outlander has got you covered. This theme retails with a professional built-in audio player that floats on top of your Music website regardless of the page your visitor is viewing. This means that your agent, manager, user, fan, and follower preview your music projects and at the same time navigate your full site without any interruption to the sound. This is one of the reasons that make Outlander a unique pick; this is what gives you an edge over your competitors. That said, do not take my word for it. 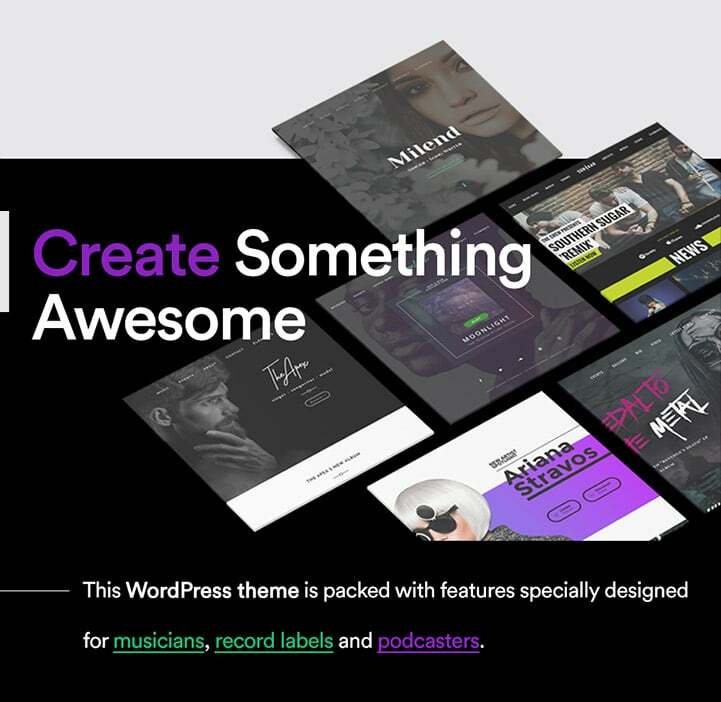 Check out this killer WordPress musician theme for yourself and let me know what you think. If you’re thinking about starting a professional music related website, I recommend, without doubt, that you try out Outlander. 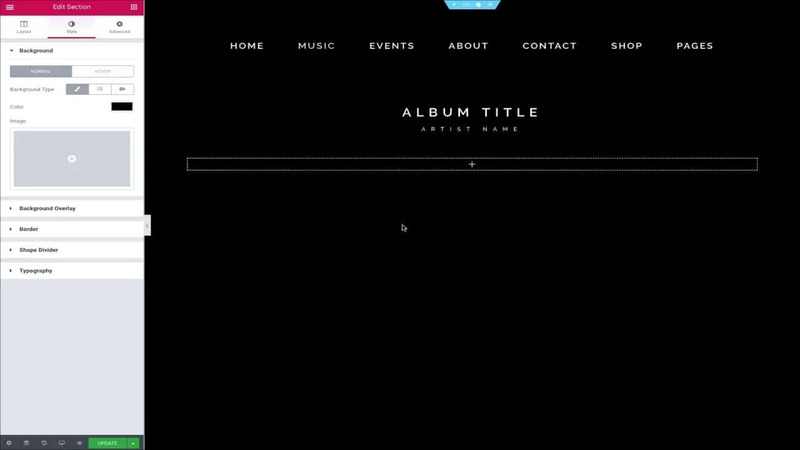 This theme has so much to offer and you’ll realize that it also retails with everything required to create a stunning website that everyone in the music industry will envy. If you are looking for more WordPress Musician Theme, make sure to look at our Collection of the Best Musician WordPress themes which is frequently updated!